Professor Joshua Kingston is certain he’s found the perfect nanny for his son. But once Cassie Simmons steps into his life, she turns it upside down! His son no longer plays by the rules, and Cassie keeps making up new ones. He would fire her – if he didn't find her so utterly enticing. Cassie has a huge secret to hide, and she can’t afford to lose her new job. But her handsome boss isn't making things easy. All these silly rules. How is an eight-year-old boy supposed to have any fun? Although the professor is both smart and gorgeous, he definitely needs a lesson in laughter – and love! These stand-alone titles can be read in any order. 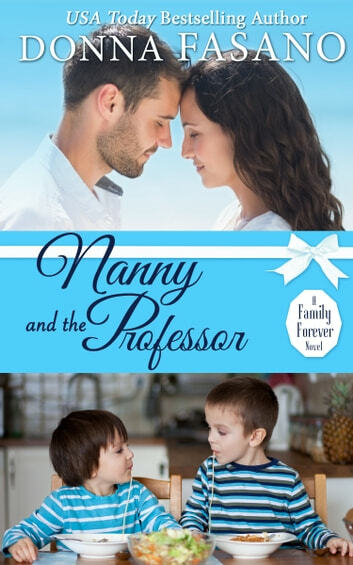 I am a huge fan of Donna Fasano and Nanny and the Professor just showed me once again why. This book was funny, entertaining and she always includes a dose of reality. All of her characters are believable and down to earth and it is so easy to curl up and get lost in the story! I read this book in one day. Great job! This book is pure mind candy. Cassie is obviously intimidated by the professor, but she is wise in ways the professor is not. Joshua does recognize this and falls head over heals in love with her but is unsure how to communicate his feelings to Cassie, because she is always building walls to protect herself. He needs Cassie to take a leap of faith to believe in her self worth and to trust him. The story is heart warming and the situations are realistic, I was totally drawn in and enjoyed journey. I love romances! I saw no editing problems and no formatting issues at all.